Supports LCPM 7.1 and other uncompressed audio formats, such as DolbyTrue HD, DTS-master, etc. 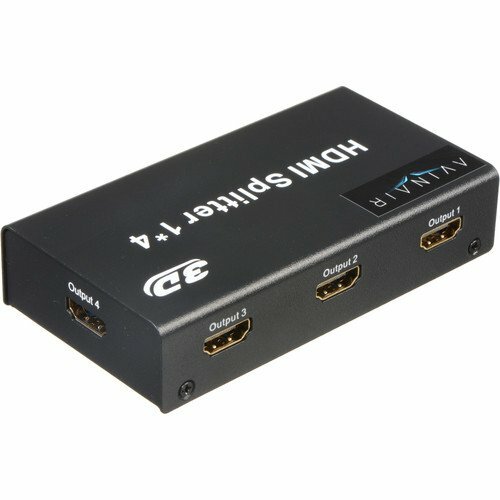 The Spitfire Pro 1 x 4 HDMI Splitter from Avinair splits a single full HD HDMI input signal into four full HD HDMI output signals without compression. 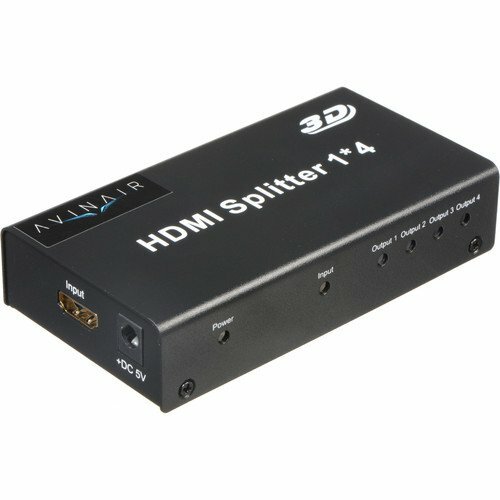 The Spitfire Pro splitter supports video resolutions up to 1080p, 12-bit deep color, 3D, and Dolby True HD & DTS-HD Master audio formats. Box Dimensions (LxWxH)	10.158 x 7.559 x 5.748"